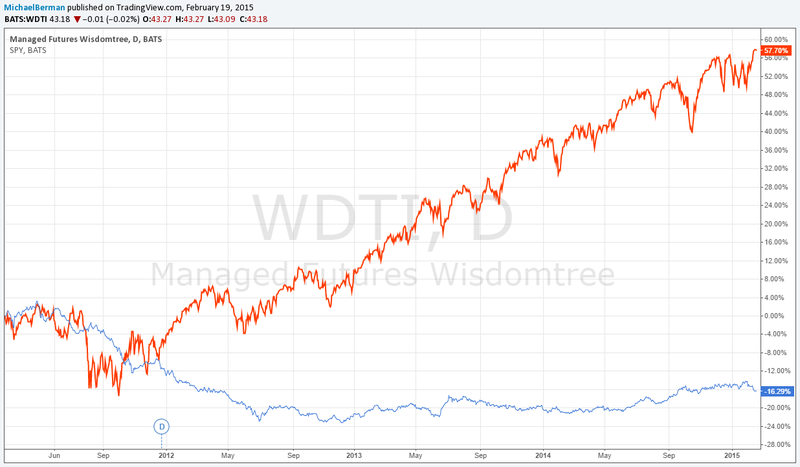 This is Wisdomtree’s Managed Futures ETF. I am not sure if it s the best ETF representing the CTA/Managed Futures market but I think it is a great diversification instrument and should be good enough for me to beat the S&P500 over time in a risk adjusted way. Here is a look at its performance since inception against SPY.